A quick-thinking witness helped prevent a residential burglary yesterday morning in Elk Grove. 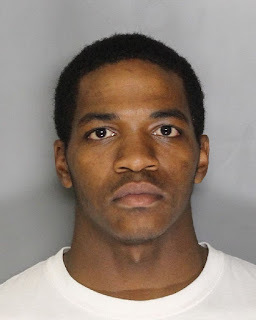 According to Elk Grove Police, officers responded to the 5600 block of Deepdale Way after a witness called in a report of a male suspect in the backyard of a residence removing a window screen in an attempt to gain entry. The suspect left the backyard and was seen getting in a blue Ford Expedition being driven by a second suspect. 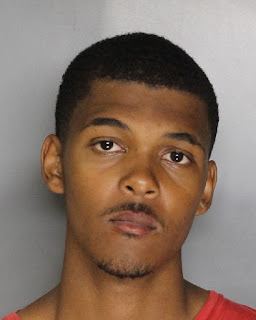 Responding officers were able to locate the vehicle and detained 18-year old Jeffrey McDade of Sacramento and 19-year old Marvin Boyd of Elk Grove. Both suspects were arrested and booked into the county jail. McDade (below left) is being held on four felony charges including violation of probation with a $110,000 bail, while Boyd (below right) is being held on three felony charges including violation of probation and a $80,000 bail. Both suspects are scheduled for arraignment tomorrow afternoon.